You are here: Home / Blog / A $200 Giveaway with Minted! A $200 Giveaway with Minted! I’m thrilled to announce that Lyz is the lucky winner! Thank you Minted for the fabulous giveaway, all of you for entering, and random.org for choosing a winner! Just once a year, I love having our family’s photo taken by someone else. Not so I can get that just-right-pose, but so I can see my loves through someone else’s eyes. Full of fun, and whimsy, and ahem independence. It’s finally time to do something with all of these treasures. And that’s where Minted comes in. We ordered our holiday photo cards from Minted this year, and I’m thrilled to share them with you. Their style is stunning. Their quality is incomparable. And their service is phenomenal. For me, choosing a design to love, was the easy part. Choosing just one, was the problem. I was drawn to so very many of their unique colors, fonts, and formats. But finally, I did fall in love with the Warm Wishes Holiday Mini Book for our holiday cards. It was “The One” because of the space inside to capture each of my children -slowed down, zoomed in, and shared- in photos and words and wishes. I couldn’t be more excited to announce that the lovely folks at Minted are offering one of you $200 towards your cards -Thanksgiving, Holiday, Celebrations – whatever your heart desires, because that’s what they’re all about. Everyone (everywhere) is eligible, just leave a comment below to let me know that you’re interested, and (hopefully!) your wish will be my command. A winner will be randomly picked and announced first thing Friday morning, November the 18th. And just for the fun and the whimsy and the Oy factors- can you find Brody here? Nice! Those looks really cool, and I love the photo on the front. Love all the photos, actually. Especially the Brody-behind-a-tree-one. *raises hand* I even have an awesome family mustache picture for our card. Poor friend here! Poor friend here! Me! Me! Me! Oh I’d love to win! We’ve been looking at Minted for our wedding invitations! Those cards look amazing! I’d love to send out something like that. I guess Brody wanted to be off by himself in that last photo? Too cute! Ooo…this would be SO lovely! Thanks for the opportunity! Love your family pics! Really? Everyone, everywhere is eligible? Even little old me halfway across the world???? Yes please. Yes, even far-away-you! Hooray for that! I found him way in the back behind the tree. How cute. I hope he wasn’t pouting. Cute yes, pouting no, slightly frustrating also yes. If he were hiding behind a Birch he’d disappear; splendid pics of whole gang of you. Jolly good, Minted, I love a drawing. Thank you. Beautiful photos! Love the holiday cards. I’ve actually never heard of minted before but definitely want to check them out! Of course I’m already thinking about getting started on Holiday cards. Love these! Now was brody pose hiding in that one! Very cute and just perfect with the leaves and changing seasons. How I miss that here in Florida. Family photos are always a good time! Your pictures emulate the fun of it all! I absolutely love those cards…I had never heard of them but will be on their website all day now. Your pictures made my heart smile….that last one with Brody behind the tree is classic!!!!! I love it. this is a fantastic giveaway, thanks for SHARING with us. We’ve love to win this gift over here in the land of ramblings!!! What a wonderful giveaway!!! Thank you! Love your pics! Of course I’d love to win! Wow~ those are great cards! 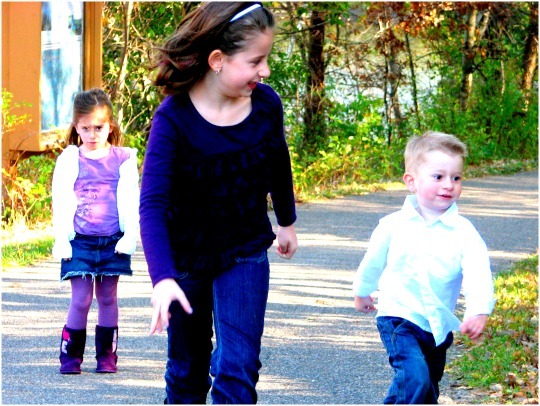 Beautiful pics that capture your family’s essence. LOVE this whole idea and LOVE the photos you had taken. I am glad you shared this site with us as well! Those turned out so cute! It makes me even happier that we are getting family pictures done soon! Happy to have been introduced to you and your blog (thanks to your hubby)! I also appreciate the inspiration to get those family photos taken already!!! They’re so worth it. And yours are beautiful (the family and the photos)! And…..you’ve done it again!! Created a gorgeous collection of family pictures! I can’t wait to see your photo book! Love it!!!! What a beautiful healthy family you have. I would love to be entered into this contest. Thank you for the opportunity!! 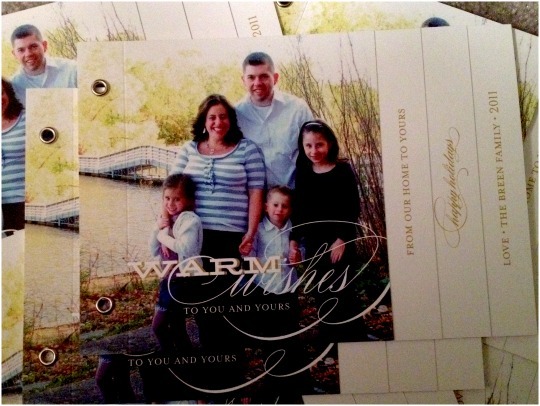 LOVE Minted.com – and I love your holiday cards- would love to win this and do the same! I’d also very much like to win this. I haven’t EVEN begun to think about holiday cards. Bravo to you for having them done. You have such a beautiful family, and those are amazing pictures! Oh, how I love family photos and yours turned out absolutely gorgeous. 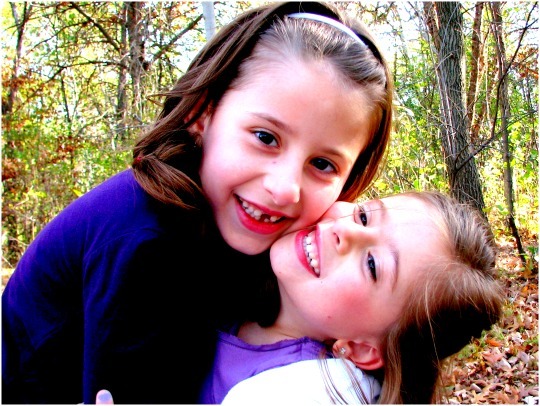 Beautiful family:) My fav photo is of your two girls hugging. So sweet! Those pics are great and I love your card! I see Brody behind the tree! Those are gorgeous! I really do love the book too, and the pic with brody in the trees is awesome. I absolutely adore how random and real your pictures are. Such fantastic photos! I love how the warm, loving character of you and your family is brought out for all of us to enjoy. I bask in your happiness! Totally found the little monkey! My eye is well trained for boy mischief. I love these photos. They’re perfection – in their inperfection, as you say. Like you, I don’t want staged portraits, I want a photo that tells me exactly who we were at that time. LOVE. So yeah, me me me! I would like to be an international winner! Loved the photos of the family. “Perfect in our imperfections” describes my family to a tee, but I can’t get them to participate in one photo let alone in a book. Thank you for allowing me to be a brief part of your family. I feel like I’m there in the scene, and it was a happy way to spend my Saturday afternoon. OH and your family is beautiful!! OH!! So beautiful!!! And I see him in that last picture..hiding out…BOYS! Those picture are GORGEOUS. and I love the card you selected! I love to see how other people see us through their camera lens as well. It’s always wonderful to see things through a different perspective. Thank you for offering this chance to win something very memorable along with Minted. Very exciting! Also, these images make me miss my much more autumnal hometown. We’ve got a few leaves falling and fallen here, but nothing like home. It’s sweet to visit even in image, though! Beautiful pictures! You are so on the ball with your holiday cards, I’m jealous. Thanks for this giveway opportunity, would be fabulous! WIth Christmas coming up and my daughters B-day in January this would be a treat! Thanks kindly for the chance! Ok, I’ll bite. We design our own cards ever year, but inevitably it takes more time than we’d like. We just can’t bring ourselves to spend he money on a service. But hey, if I can win a coupon, it would make life easier. :-). Yours turned out lovely! okay, galit…. i’ll bite! and i’m horrified that it’s holiday card time AGAIN! ALREADY! 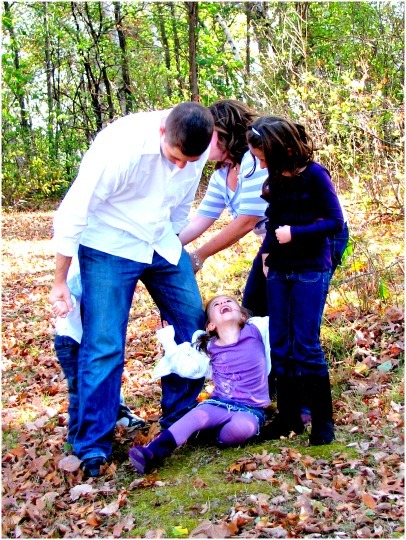 if i win, i promise to put at least one embarrassing photo of each of my children on said holiday cards. Awww, your photos are all adorable. What I love most about them? They show a family who truly knows how to have a good time. Ooooooh I would really love these! I did Minted last year and have to say the quality and printing were gorgeous. It was such a ‘thick’ card and didn’t feel at all flimsy. Seriously – i LOVED it. I would really love to win this! Thanks for the giveaway! I am interested! I now have a family of five, and no pictures yet of all of us together. We have been discussing family portrait options over the past week or so. This would be wonderful! Love minted! I’m ordering my save the dates and would love to get my wedding invitations from them too. My fav is the banner and branches design but there are so many good ones! Wow. What an amazing giveaway. Minted has gorgeous cards. Would love to win. Your card looks amazing. Happy Holidays. Wow-what a great contest! And what fantastic family pics! Interested! What a fantastic giveaway, and so timely! Your cards turned out amazing…would LOVE to win! Thank you for sharing with us! What an amazing giveaway, gorgeous cards and so glad you introduced Minted to me. um. if I won, I’d probly pass out. and then I’d have a hard time claiming my prize. But I’d wake up sooner or later. I love your photos and your book-like cards. So cool. Brody, that little skamp! I love that some of these resemble some of the ones I took of my friends over the weekend – ha! So fun! I could not be MORE interested. Lovely shots! Me, me, me! I absolutely love the cards you chose! I’m always looking for different cards, and these look perfect! Love the pictures! And the cards are just gorgeous. Sign me up! When you have kids, you just have to embrace the whimsy! I’m jealous you’ve already gotten those cards finished! We’re still waiting for the photo, ugh! I’d love to win! It would make our holiday card shopping that much easier! Well, goodness, I can’t resist something as beautiful as those cards! Thank you for hosting. I would love to win! We’re having our first baby in a month and I want to send out a Christmas card/birth annoucement for her. Winning this would be a huge blessing! I would truly love this! I’ve been searching for a good one! and this would be so helpful! Your pictures are always so beautiful, Galit! These are no exception. How cool are those! I’d loooooove to win!!! 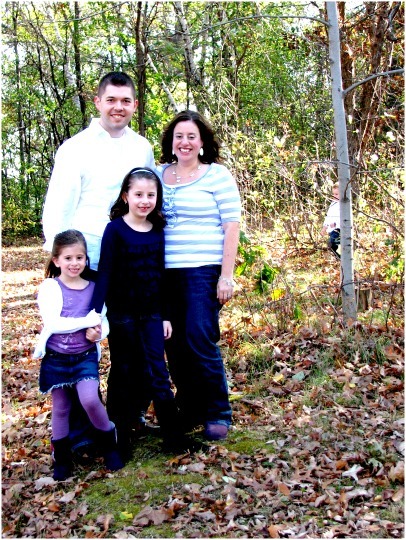 Wonderful family pictures Galit! I have never heard of Minted before, but am definitely inspired to check out their site. Thank you for sharing it. And yes, I would love to be entered into the drawing. Now I found it – thanks, Galit! 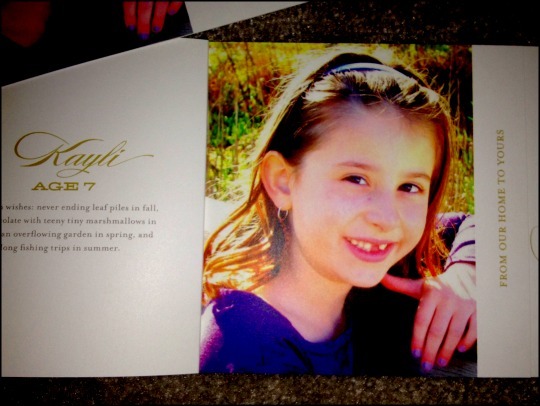 Great pictures and great cards…I think that every year when I get your holiday card in the mail. It is always my favorite one we receive. You are so creative and have such a beautiful family! Please enter me for the drawing…I have my fingers crossed that I’m the lucky winner! Those cards are beautiful! This is the first time we have not moved right before Christmas in four years. Instead, we will get to celebrate in our new home without having to unpack. I am so excited for this holiday season and to get to be HOME. Last year, we were moving to Alaska so Christmas cards got left behind. It was so sad! I must check out Minted for cards, I love it! Oh, Galit? Your cards are wonderful…and so is your family! 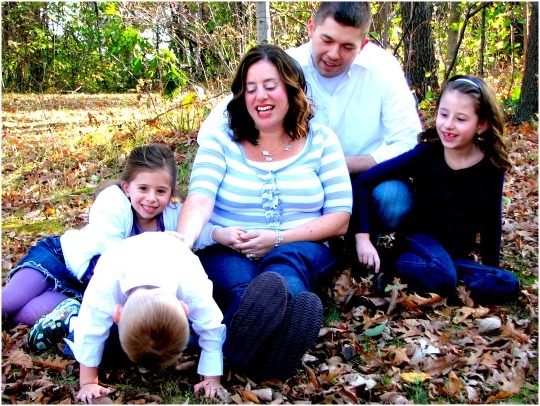 Great pics and thanks for yet another reminder – got to get a family pic scheduled for my fam! Pretty cool giveaway! The family shot on the front of your card is just perfect. I can tell that the quality and style of these cards is top-notch. I order holiday photo cards every year, but I haven’t done it yet this year, so yes, I’d LOVE to win! Thanks for the giveaway. Thanks for hosting this giveaway–and what a precious family you have. I probably won’t be able to buy presents for everyone I’d like to buy presents for this year, so I really hope I can win this! Thank you for the chance! Thank you all so very much for entering the giveaway! And thank you so very much Minted! This? Was fabulous! Congrats Lyz (#2)! Enjoy your cards- I hope you post pictures of them, I can’t wait to see them! Please enter me in the giveaway!! !